Olivas’s bold insistence on leaving a few seams visible makes his stories resound as a fascinating exploration of the art of storytelling. 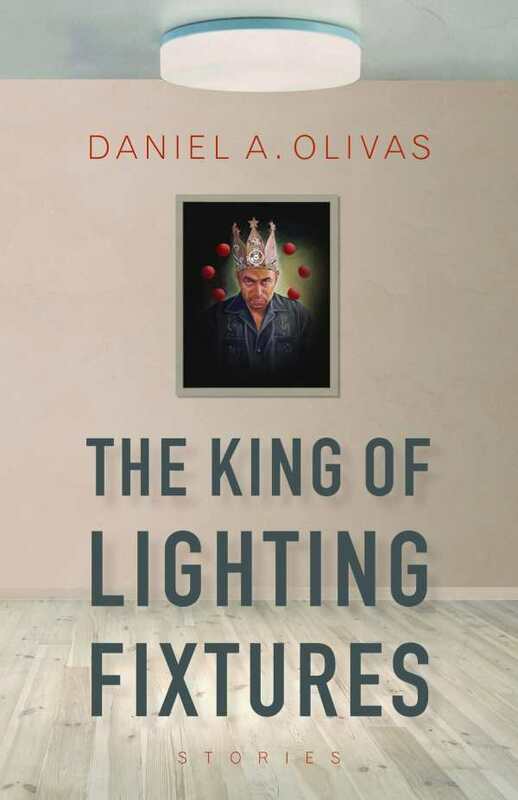 Angelenos on the margins make their entrance in The King of Lighting Fixtures, a collection of thirty puzzling, arresting stories by Daniel A. Olivas. Tales of death, sexuality, family, identity, revenge, and desire reveal the imperfections in Chicano lives. Frequently hinging on brief encounters or singular experiences, these stories leave worlds unsaid. A legal secretary born with a physical anomaly dates a café owner, only to be transformed shortly afterward. An Uber ride proves disastrous. The delivery of a soul in a package prompts an ex-wife to seize her chance. A self-made retail king manipulates his way toward a relationship. No matter the premise, there’s a flawed self-interest shown in many of the stories, whether explicit or implied; in the more hopeful stories, there’s also an element of magic. A few, such as those featuring devils, display macabre humor. Others turn violent. Most are keenly tuned to incidents that etch themselves into the mind and heart. Several stories conclude without explanation. One pauses just when a knife is about to drop. Others end immediately after a character has come to a life-altering realization. On one occasion, a narrator declares that there’s “nada más” to be said. Another advises the reader to get over feeling cheated out of a story’s ending. This bold insistence on leaving a few seams visible, a few threads frayed—even on pulling the rug away entirely—makes the book resound as a fascinating exploration of both the art of storytelling and the ways in which fiction echoes the messiness of life. Among the standouts are “Carbon Beach,” a two-page sketch featuring a sixteen-year-old being questioned by police. Without a line of dialogue, using only the boy’s internal thoughts, dread mounts and crescendos in one decisive moment. In “Mateo’s Walk,” the city’s topography melds with a man’s wishful mission. The book’s lengthy showpiece, “The King of Lighting Fixtures,” breaks the story of a boss’s growing obsession with interviews that highlight different characters’ perceptions. Whether touched by tragedy, the miraculous, or the everyday, teens and adults in these stories are deftly frozen in the precise moment that can seldom be undone.